It is about time the humble carrot took centre stage on our blog. It may not be the most exotic juice ingredient we use, but it is one of the most versatile and boy, do we go through a lot of carrots at Barannes. In a typical week we will use about 100kg of the orange coloured vegetable. Our faithful suppliers, Fungi Delecti, deliver fresh carrots to both our shops twice daily. What’s more, since Jamie and the Fungi Delecti family purchased Woodside Farm we are delighted that most of our carrots are grown here in Jersey. We are proud to be supporting local producers where we can and reducing the food miles. Carrots are one of the most popular, versatile vegetables in the world! Whether they are eaten raw, cooked, or drunk as carrot juice, people from nearly every culture consume carrots. Carrots get their colour from antioxidants called carotenoids. One of these carotenoids is beta carotene, a precursor to active vitamin A. 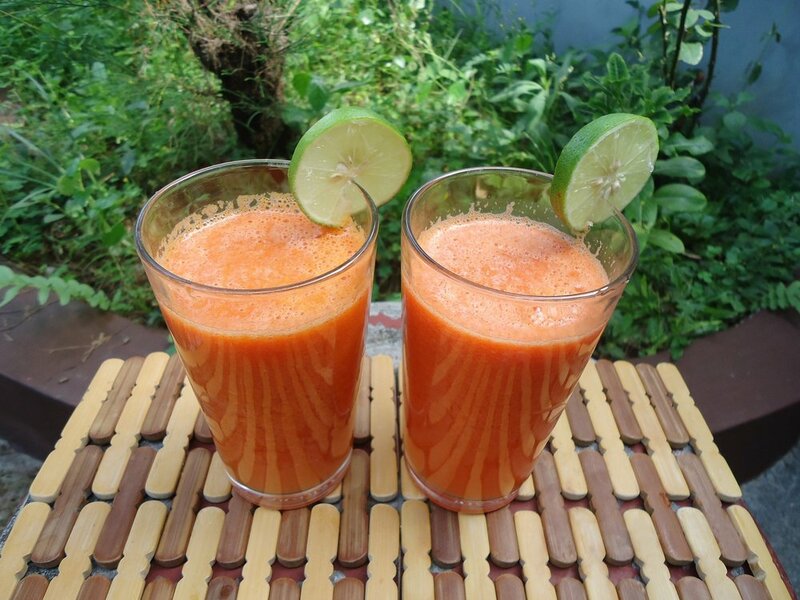 It is responsible for many of the carrot and carrot juice benefits that we know about today. Several studies have shown that beta carotene is crucial for improving immunity in the body, protecting skin and eye health, and fighting free radical damage that can cause various forms of chronic diseases including cancer and heart disease. Carrots have a wealth of valuable nutrition and when you juice them, you can get a concentrated dose of their healing power. From balancing blood sugar, improving blood health, relieving congestion, fighting inflammation and cleansing the kidneys to protecting eyesight, brain function and fighting Leukemia, carrot juice benefits can help nearly every part of your body. 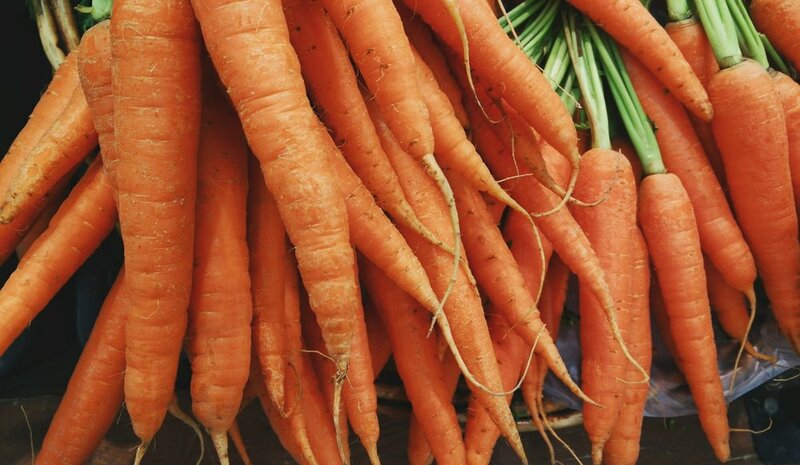 Three crucial nutrients, beta carotene, lutein and zeaxanthin, within carrots considerably boost eye health. For example, without beta carotene various forms of eye disorders can occur including macular degeneration and even blindness. Lutein and zeaxanthin, both work to reduce the risk of age-related vision loss. Vitamin A deficiency can lead first to night blindness, then permanent blindness. Vitamin A deficiency is actually the number one cause of preventable blindness world-wide. Drinking carrot juice regularly will help you maintain healthy eyes and vision throughout your life. Eating more deeply coloured orange vegetables like carrots decreases the risk of cardiovascular disease, especially in adult women. Regardless of other cardiovascular risks, research indicates that drinking carrot juice benefits the heart by lowering oxidative stress and improves the body’s defence against various forms of cardiovascular disease. This effect is likely due to the high antioxidant content that carrots contain. Carrots also work to lower cholesterol, and boost bile production, which increases the body’s ability to digest fat. The nutrients found in carrots help improve immunity, including the body’s ability to fight bacteria and toxins that enter through the mouth and live within the gums and teeth. The minerals in carrots can be antibacterial and help prevent cavities and tooth decay. Carrots can also help remove plaque and stains from teeth if eaten after meals. Once eaten, the fibre in carrots also boosts immunity by acting as a natural digestive system brush, scrubbing away unwanted bacteria in the gut and promoting better digestion of immune-boosting nutrients. Carrots and carrot juice benefits brain health by helping to prevent against Alzheimer’s disease, improving memory, and defending against other types of cognitive decline. This is due to carrot’s ability to lower oxidative stress in the brain that can weaken nerve signalling capacity. Power Juice - Carrot, Apple, Beetroot, Lemon and Ginger. Combines great earthy flavours of beetroot and carrot with the kick of ginger. So there you have it, not only are carrots great tasting they are good for you in so many ways, which is one of the reasons we use them in so many of our juices. Have you tried them all yet?